Greene Feet are the perfect photography subject posing accessory for getting your subjects facing the right direction. Start your next portrait session out on the right foot with Greene Feet! Greene Feet are the perfect accessory for posing your subjects. As photographers, sometimes we struggle to get our directions across or maybe our subjects aren't paying attention. Greene Feet help your subject find their mark with ease, aiding you in keeping your photoshoot moving and saving valuable time in the process. Start your next portrait session out on the right foot with Greene Feet! 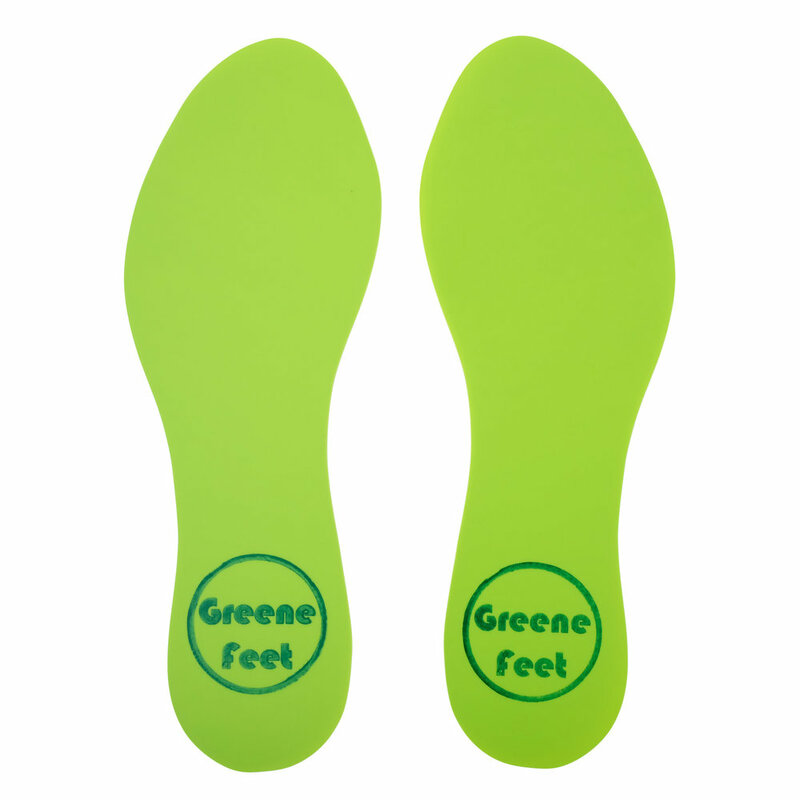 Greene Feet are made from extremely durable Polypropylene. I can't tell you how long they will last since I'm still using the first set I ever made! They are weather proof and resistant to cracking and stress. Greene Feet are thin, flexible and easy to store in your camera bag making them a must have accessory for every portrait photographer. It's simple, put the feet down and people automatically walk over and stand on them. Now they are facing the right starting direction and you're ready to fine tune…saving you valuable time and making your photo shoot easy! How did I come up with the idea for Greene Feet and how do they work? I shoot a lot of headshots, I do headshots for businesses and college athletic teams among others. Last year I had a busy day of shooting more than 30 headshots. I joke with people that I think I'm going to lose my voice saying the same thing over and over…"come sit right here, one foot on each side of the stool leg, facing towards this light". Sometimes I didn't express clearly where I wanted people to stand or the direction I wanted to them to face. They end up facing the wrong direction or not turned enough and I thought there has to be a better way! I looked at feet shaped stickers but they were too expensive, considering they would only last one session. I found some foam feet for kids but they were too thick and I didn't want people to have a problem standing on them, so I decided to make my own! The next day I had 60 headshots followed by headshots for two basketball teams the day after. I put these down and WOW…my life got so much easier! At first I wasn't sure it would work, everything was going smooth for the first couple people, even if I didn't notice anything different. I got to talking to an executive after his portrait, as sometimes happens when you build rapport quickly. As I was talking the next person walked in, walked over to the stool, lined up her feet and sat down. I looked over thinking, I'm 90% ready without saying a word. It worked perfectly and I was able to finish more than an hour ahead of schedule. People see the feet, automatically walk over and stand on them...saving me time. Now I just say "go stand on my feet and sit down" then I'm ready to fine tune with the subject facing the right direction. 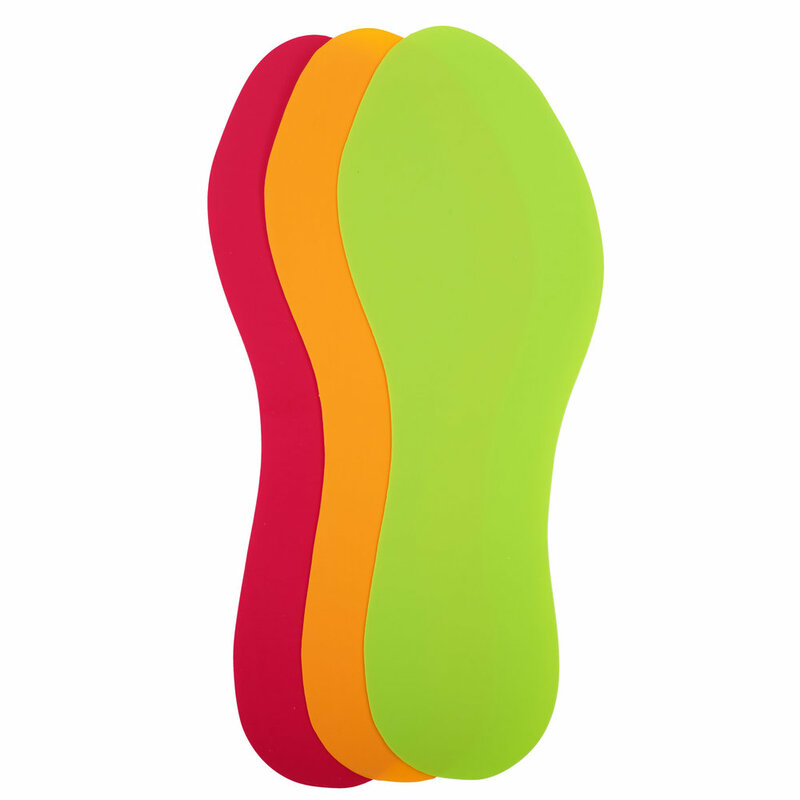 After several months of working with the feet and seeing how much easier it made my life I decided to start selling them. I tweaked the original design and now I'm ready to share Greene Feet with everyone! It's simple, put the feet down and people automatically go over and stand on them. Now they are facing the right starting direction and you're ready to fine tune…saving you valuable time and making your photo shoot easy from the start! 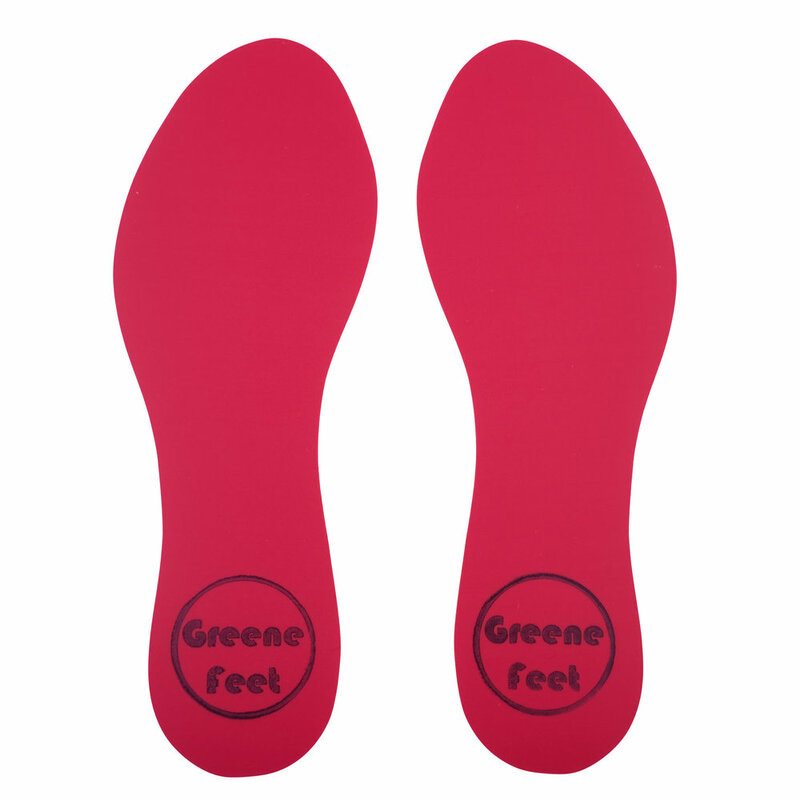 Did you know...Greene feet are reusable, that's right…one pair will last and last and last. Made from a super strong rubber-like plastic (Polypropylene) they are weather proof, lightweight and very flexible. I put a loop of tape on the bottom and stick them down when I want my subject to stand and people automatically go over and stand on them. Now they are facing the right starting direction and I'm ready to fine tune…saving valuable time! Afterwards I pull them up, throw away the tape and they are ready for the next shoot.